Abstract—Many Internet of Things (IoT) technologies have been used in applications to makes our life more convenient. The EasyConnect IoT management system characterizes an IoT device by its “features” (e.g., acceleration, temperature, and etc.) that are manipulated by the network applications. If a network application handles the individual device features independently, then we can write a software module for each device feature, and the network application can be simply constructed by including these brick-like device feature modules. Based on the concept of device feature, brick-like software modules can provide an efficient control mechanism to simply develop a universal remote to control IoT devices. Index Terms—Remote controller, internet of things (IoT), machine-to-machine (M2M), wearable device, wireless communications. 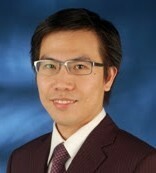 Yun-Wei Lin is with the Department of Computer Science National Chiao Tung University Hsinchu, Taiwan, R.O.C. (e-mail: jyneda@gmail.com). Cite:Yun-Wei Lin, "Develop a Universal Remote Using the EasyConnect IoT Management System," Journal of Advances in Computer Networks vol. 4, no. 4, pp. 189-192, 2016.